At one time it was the home computer that was taking up much of our leisure time. We would spend hours surfing the internet, playing online games or watching videos on Youtube. It was bad enough then, but now mobile devices are replacing the computer as the biggest thief of our time. 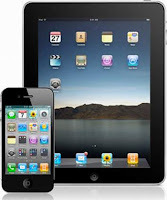 The iPhone and iPad have made it so easy for us to get online and get connected that we have lost touch with the real world. Face to face communication or even voice to voice communication is in danger of becoming obsolete. When family members text each other from different rooms or floors of the house rather than make the effort to walk there and talk face to face, you know quality family time is at risk in this household. The older generation of mobile phones had limited applications, but with smart phones, there are more than enough applications to keep users happily occupied 24/7. Add the iPad, and we have a lethal combination of mobile devices guaranteed to drain the life out of the users. It is not uncommon for people to own at least two smart phones and an iPad, and carry these devices with them everywhere they go. Indeed, the iPad2 has become a status symbol of IT-chic. With wider broadband coverage, we can access the internet and log on to social media sites from almost anywhere. It's so easy to create accounts on Facebook, Twitter, Google+, Skype, Blogs, and LinkedIn, and so affordable to subscribe to online papers and magazines. Small wonder that we spend so much of our free time online. In the urban areas, the percentages are likely to be much higher. 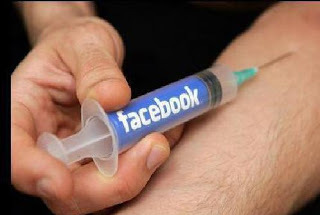 The worst addicts are Facebook addicts. They come from all ages. Yesterday's edition of The Star quoted a woman in her 50s who said she no longer had normal conversations with her family. She would plan her daily activities around the FB games of 'Farmville' and 'Baking Life'. "I haven't had a good night's sleep in ages as I can't log off till the wee hours of the morning." Another addict said, "I log on to Facebook every half an hour. If I can't go on FB, I feel uneasy and can't concentrate on my work." He added that it was never that bad till he bought a smart phone. Admit it - most of us can't live without our mobile devices. Try going for a day or two without turning on your mobile phone or computer. You'll have withdrawal symptoms, and sink into deep depression or utter boredom. Have the will-power to set limits to your online time. Or switch back to older generic mobile devices. Or give away your iPhone and iPad, and go cold turkey. Otherwise, say goodbye to family time, to relationships and to a life that used to be filled with real friends, activities and laughter, not virtual smiles and pokes. With my daughter almost old enough for a mobile phone, we decided to get her a basic tracfone phone, without all the "goodies", I personally cannot stand all these teenagers constantly on their phones, whether it be on facebook or just texting. I agree. You can't get their undivided attention when you talk to them. They are constantly checking their FB page or replying to text messages. No doubt about it - smart phones are eroding quality family time.